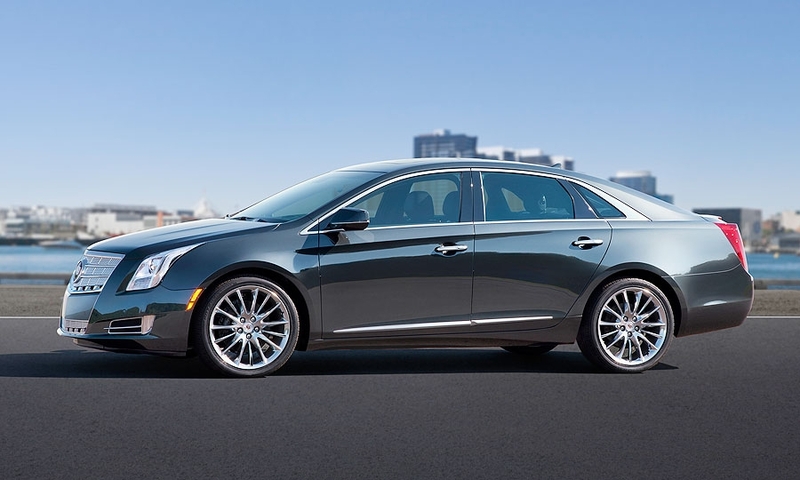 General Motors today unveiled the Cadillac XTS, a roomy and technology-laden full-sized luxury sedan that GM hopes will lure import buyers while still appealing to traditional Cadillac buyers. 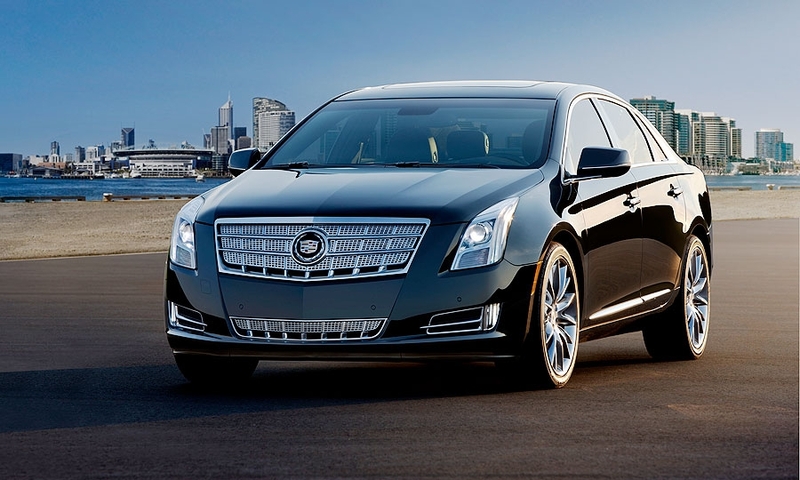 The 2013 XTS, debuting at the Los Angeles Auto Show, will replace the recently discontinued DTS and STS sedans to become Cadillac's flagship sedan when it goes on sale in the spring. It will be marketed above the smaller, sportier CTS sedan, Cadillac's top seller and the only car left in its thin lineup. It is one of three new cars Cadillac plans to bring to market over the next few years. The ATS sedan -- slotted below the CTS -- will go on sale later next year, followed by the ELR, a luxury, plug-in hybrid coupe derived from the Chevrolet Volt. After a strong start to the year, Cadillac has lost some momentum in the U.S. market in recent months, partly because of the depleted product lineup. Sales were up 6 percent through October to 124,985 units, lagging the overall industry's 10 percent sales gain. 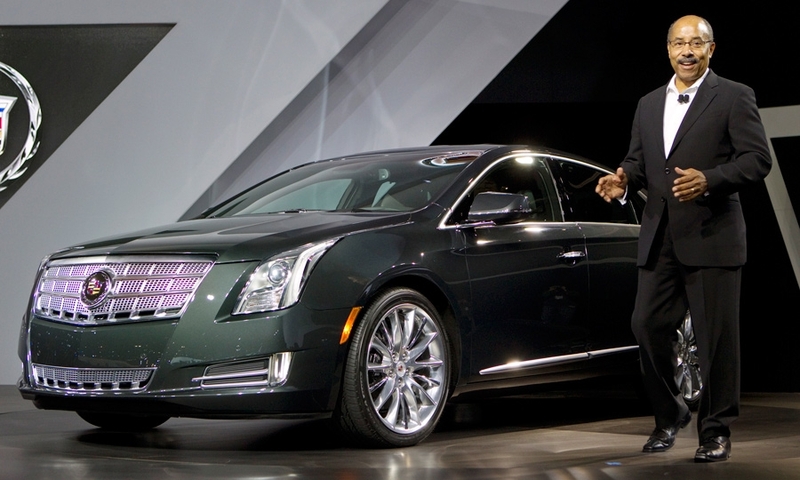 In October, Cadillac sales fell 12 percent. The XTS was developed on a stretched version of GM's front-wheel-drive Epsilon platform, which it shares with the Buick LaCrosse and the next-generation Chevrolet Impala due in 2013. 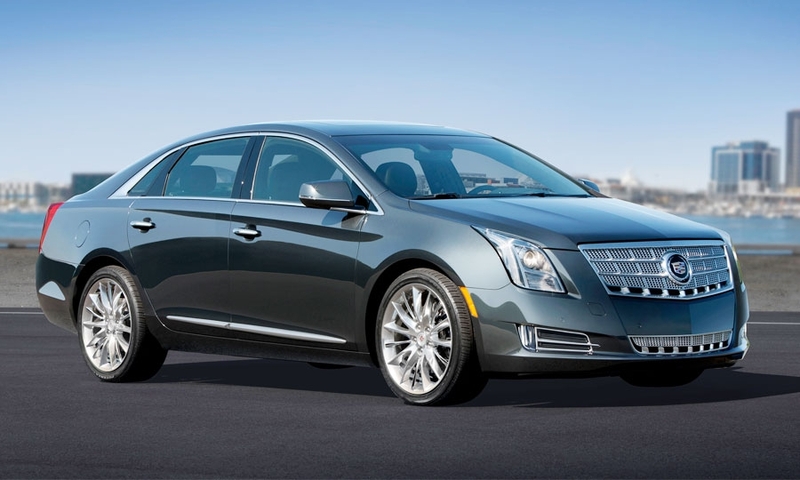 XTS production will begin in the spring at GM's assembly plant in Oshawa, Ontario. The XTS "represents a new formula for luxury, driven by technology," Don Butler, vice president of Cadillac marketing, said in a statement. "XTS showcases the evolution of our art and science philosophy, merging the best technical ideas with the continued refinement of Cadillac design." The body profile is long and sleek, "a welcome return to Cadillac," the company's press release says. Other styling cues include ample body creases, swept-back headlights, a mesh grille and plenty of chrome accents. All-wheel drive will be optional on the XTS, and GM expects it to account for a "strong percentage" of the overall mix, a Cadillac spokesman said. 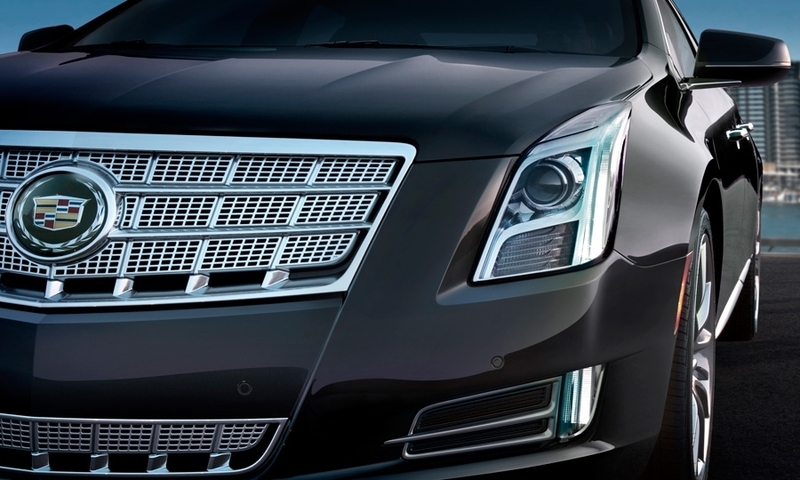 The XTS' 3.6-liter V-6 will deliver 300 hp. It's mated to a HydraMatic six-speed automatic transmission with tap-shift control. GM expects the front-wheel drive version to get 17 mpg in city driving and 28 mpg on the highway. The awd version will get 27 mpg in highway driving. 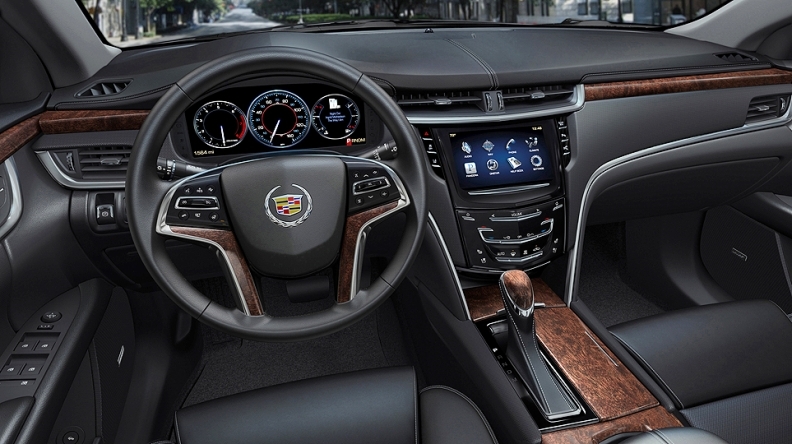 The XTS will feature a standard CUE interface -- short for Cadillac User Experience. An 8-inch LCD touch screen allows the user to flip through displays much as on a smartphone. A 12.3-inch, all-digital instrument cluster behind the steering wheel gives the driver a choice of four different displays, from simple to complex. While the XTS will take on the mantle of Cadillac's flagship for now, most industry insiders believe that GM will develop a range-topping rear-wheel drive sedan to take on the BMW 7 series, Audi A8 and Mercedes S class. The XTS will be sold overseas eventually, although GM hasn't finalized specific plans, Cadillac spokesman David Caldwell said. China is expected to be a big market for the car down the road. Cadillac, once the top-selling luxury brand in the United States, has fallen behind rivals BMW, Mercedes-Benz and Lexus at home and abroad. It last topped the U.S. luxury sales chart in 1997, and trails BMW, Mercedes-Benz and Lexus this year through October. GM is counting on the XTS to attract new buyers to its luxury brand while not alienating older, traditional Cadillac buyers, who made the DTS and STS sedans big sellers. 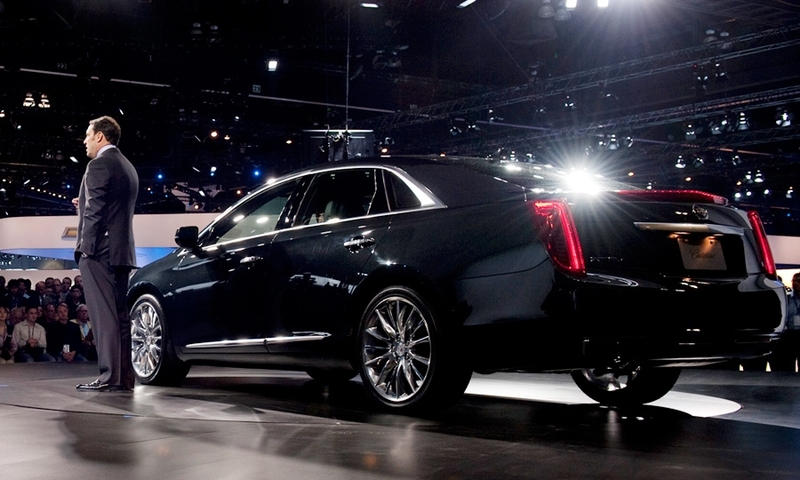 Those two models accounted for 34 percent of Cadillac's sales as recently as 2008. Roominess should help keep some of those age 60-plus buyers in the fold. Rear-seat leg room is 40 inches, which GM says is 4 inches more than the BMW 5 series and Mercedes-Benz E class and edges the Audi A6 by a couple of inches. And the XTS' trunk space of 18 cubic feet bests both mid-sized and some large luxury sedans, GM says. It is even more cavernous than the trunks of the BMW 7 series and Audi A8. Ed Welburn, head of global design for GM, said the XTS will play a key role in the Cadillac portfolio with the demise of the STS and DTS. While the CTS and Escalade SUV have been successful, Welburn said a truly modern large sedan has been missing from the Cadillac lineup for some time. "That is really what this vehicle is all about -- doing a contemporay full size sedan for the brand, one that has great interior space and a very efficient body dimension," he said. Cadillac's U.S. sales have climbed 6 percent this year to 124,985 units through October. Rear-seat leg room in the XTS is 40 inches, which GM says is 4 inches more than the BMW 5 series and Mercedes-Benz E class and edges the Audi A6 by a couple of inches. But the sedan's hallmark is its technology, most notably its CUE interface (short for Cadillac User Experience), which will come standard. An 8-inch LCD touch screen lets the user flip through displays much as on a smartphone. GM officials have high hopes that the technology will break through the clutter of sometimes-confusing infotainment systems. The center stack has just seven buttons, including three for the radio. Many cars have more than twice that number. 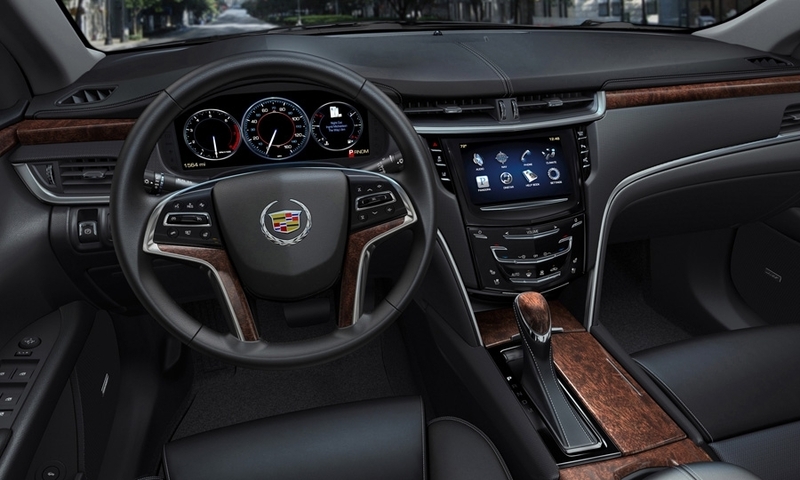 The XTS also gets plenty of high-tech safety systems that are common on luxury European cars, another sign that GM is pitting the car against luxury brands such as Audi, Mercedes and BMW. The car offers two levels of "Enhanced Safety Strategy" packages, each of which "helps drivers identify potential crash situations and even intervenes when a crash threat appears more imminent," GM's press release says. The base package includes lane-departure warning, forward collision alert and side blind-spot alert, among other features. The full package adds head-up display, adaptive cruise control, front and rear automatic brakes and other technology. The magnetic ride control and Brembo braking system from Cadillac's V-series of high-performance CTS models, standard. An advanced Haldex awd system including electronically controlled limited-slip differential. Standard 19-inch wheels with available 20-inch wheels. Folding rear-seat headrests to enhance rear visibility. The direct-injection 3.6-liter engine with lightweight features that include integrated cylinder heads and exhaust manifolds.